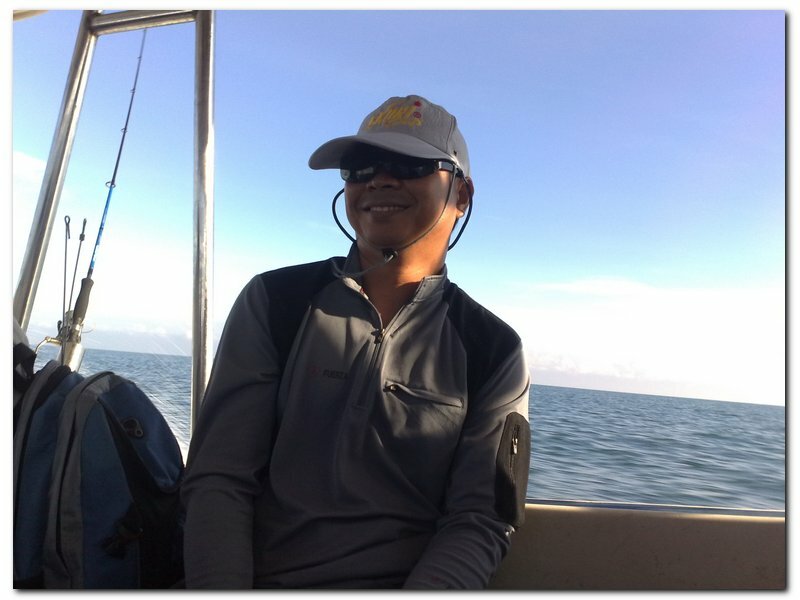 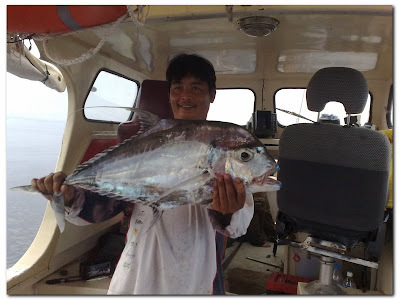 As this will be my last deep sea fishing trip this year, I was hoping that by organizing this trip, I will be able to have an enjoyable time fishing with my fishing buddies. Unfortunately, Mr Bob, Juini and Bartholomew were unable to join us - Jepp, Zizudini, Bakry and myself. 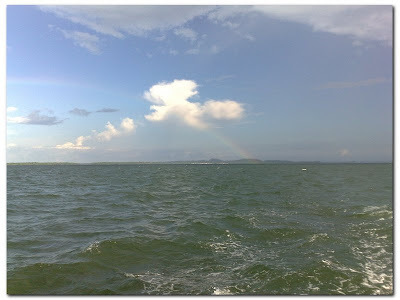 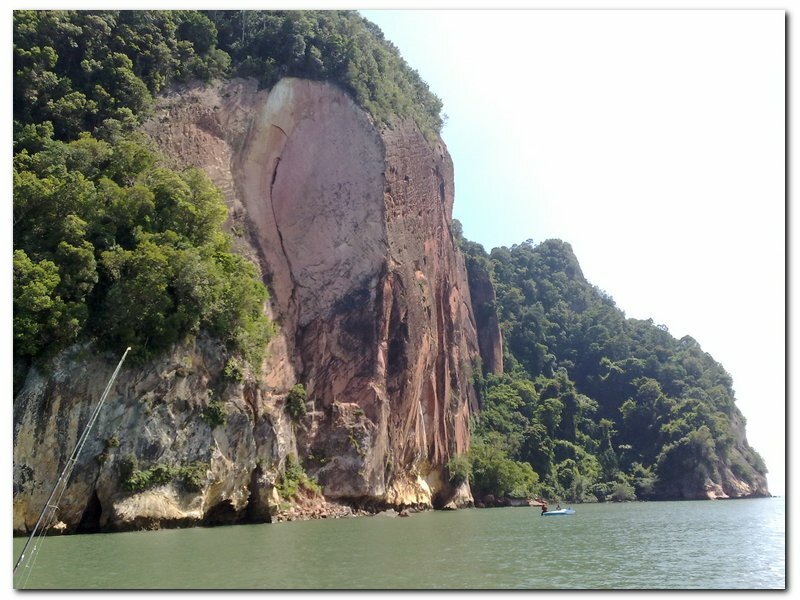 Like usual, we followed Ah Kong's 400hp speed boat to Kretam. 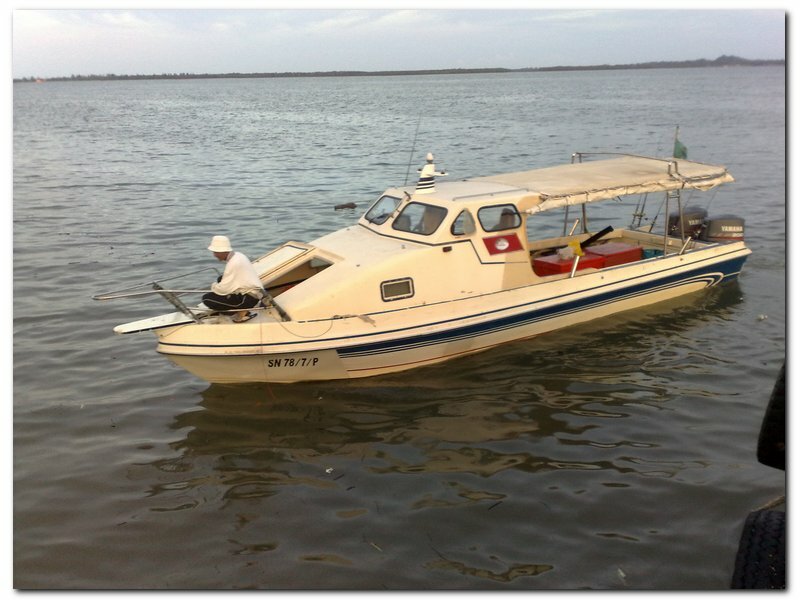 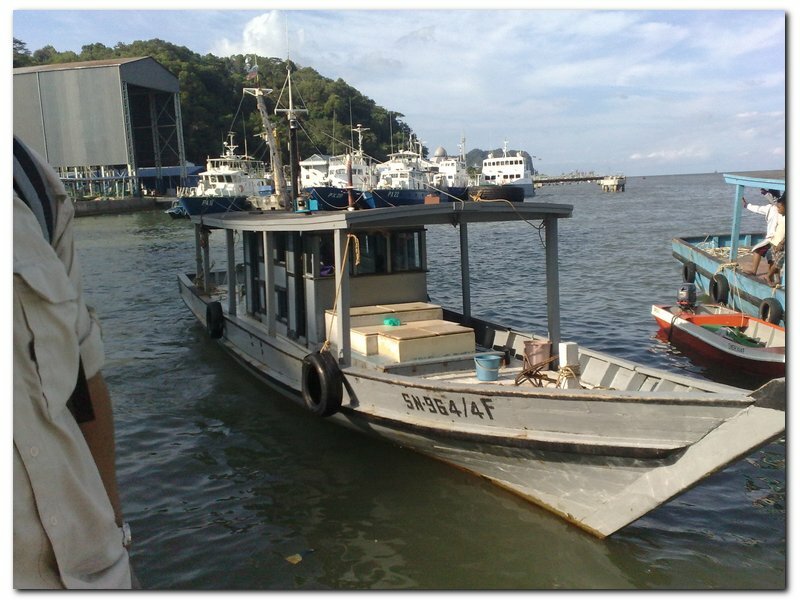 Ah Kong's 400hp speed boat. 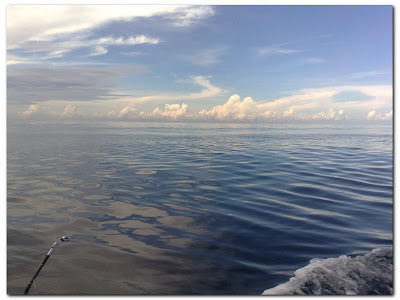 The condition of the sea in the morning. 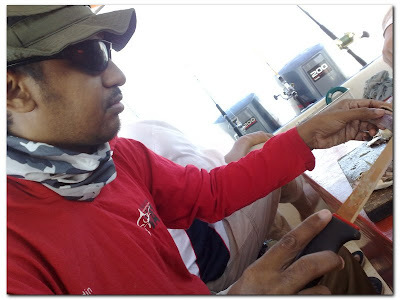 Jepp was rewarded with a Kerisi on 40g jig. 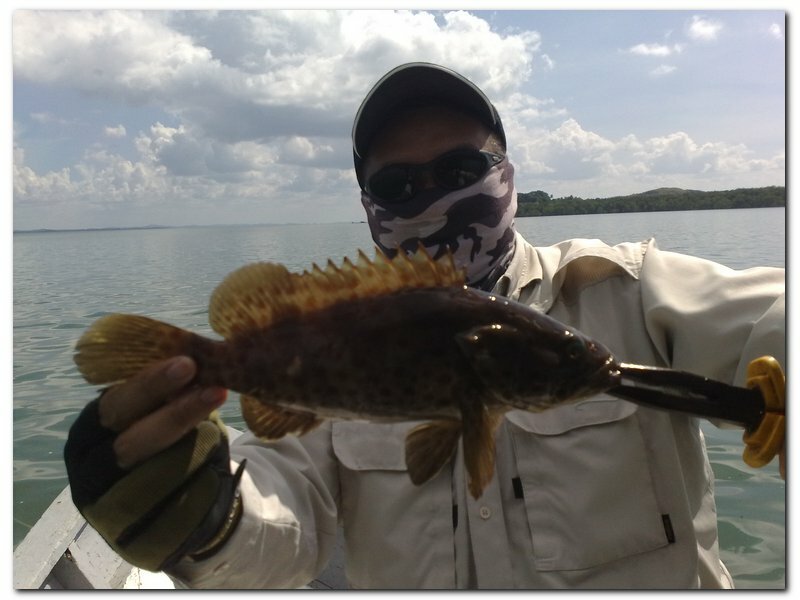 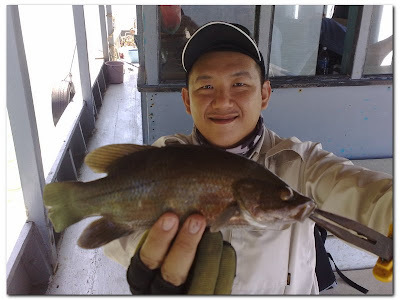 Jepp with an ikan kayu on 40g jig. 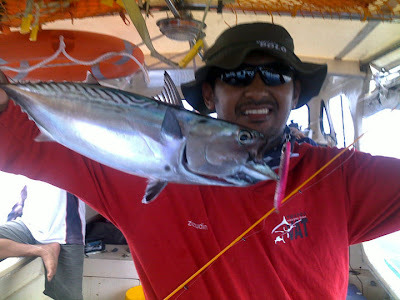 Zizudini with 1kg ikan kayu on 40g Hinomiya's jig. 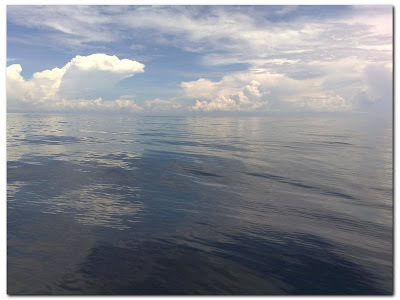 The condition of the sea in the afternoon. The current was quite strong. 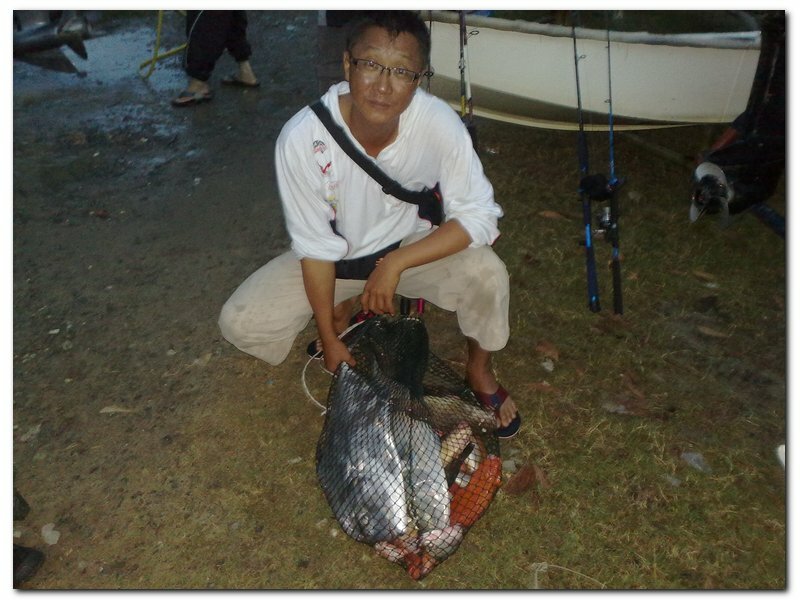 Ah Seng with his 4kg ebek. 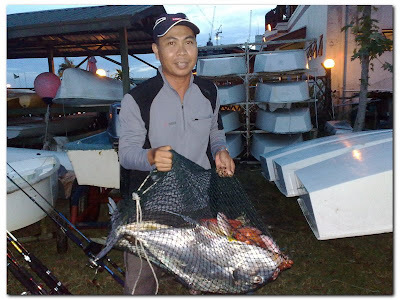 A 4kg jemuduk by Ah Seng. 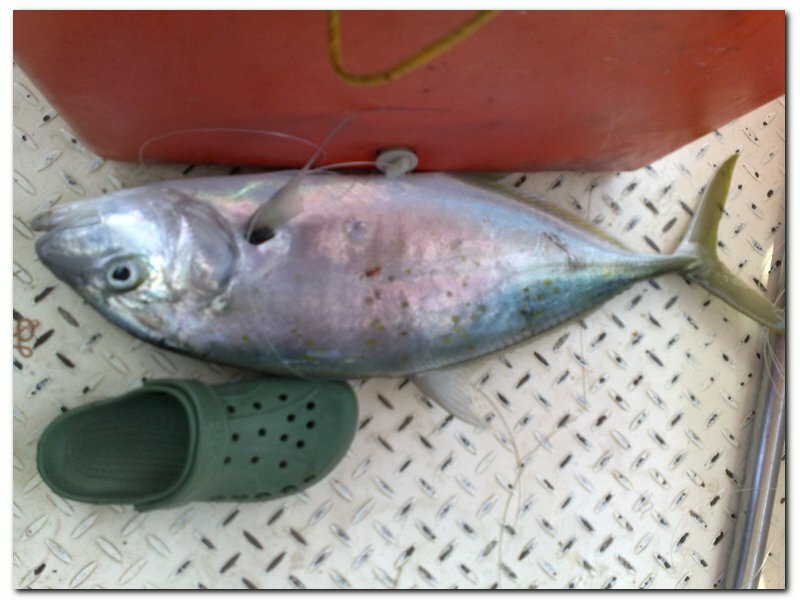 The size of the jemuduk' compared to my sized 8 Crocs shoes. 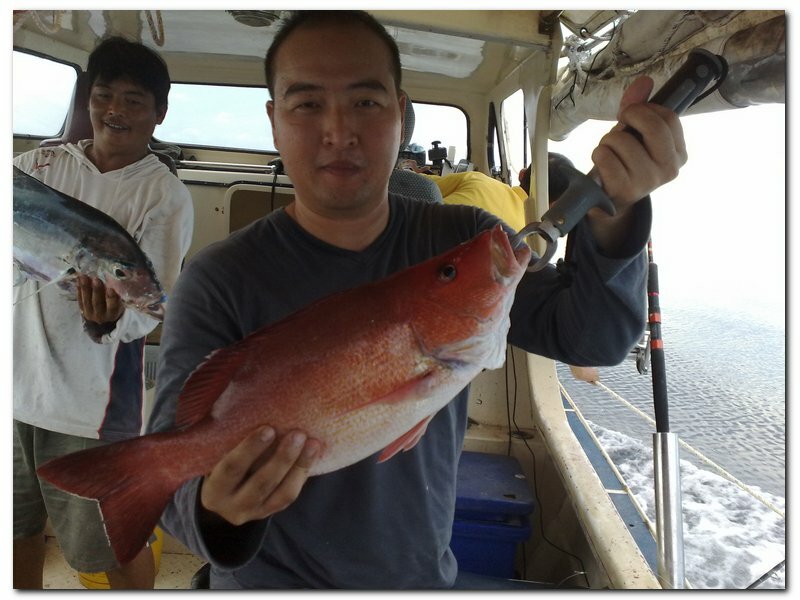 Wong with a 4kg Ruby Snapper. 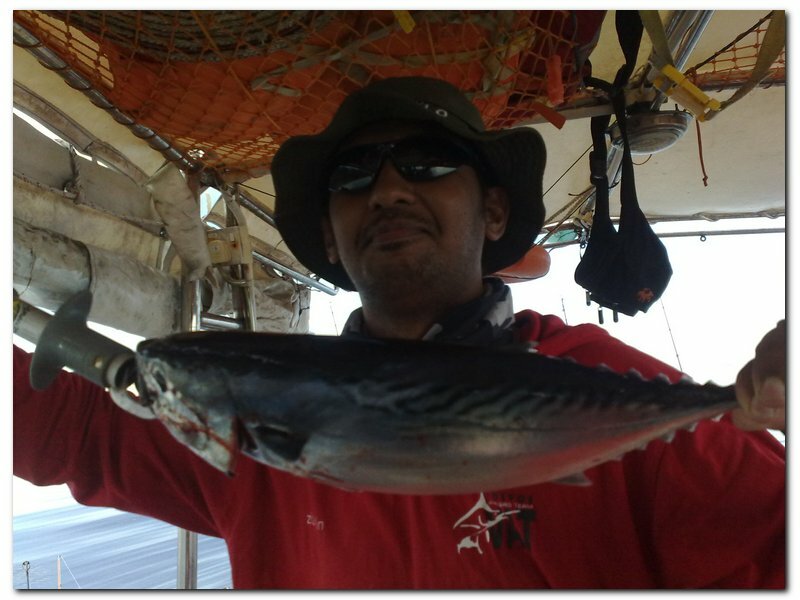 Zizudini with a 2kg barracuda on Hinomiya's 40g jig. Our combined catches for this trip. 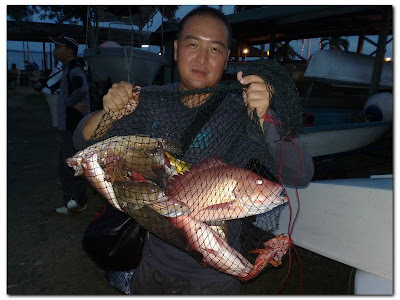 Myself with the jangkarman's catches. 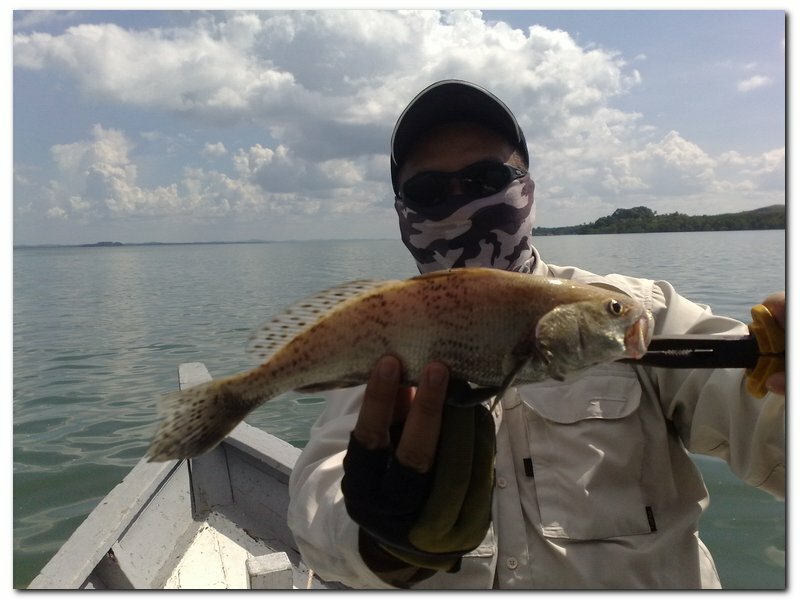 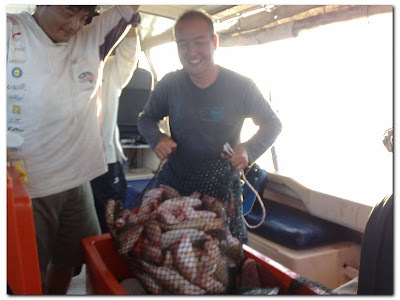 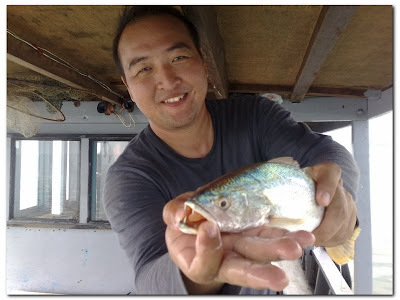 Mr Chong with his catches. 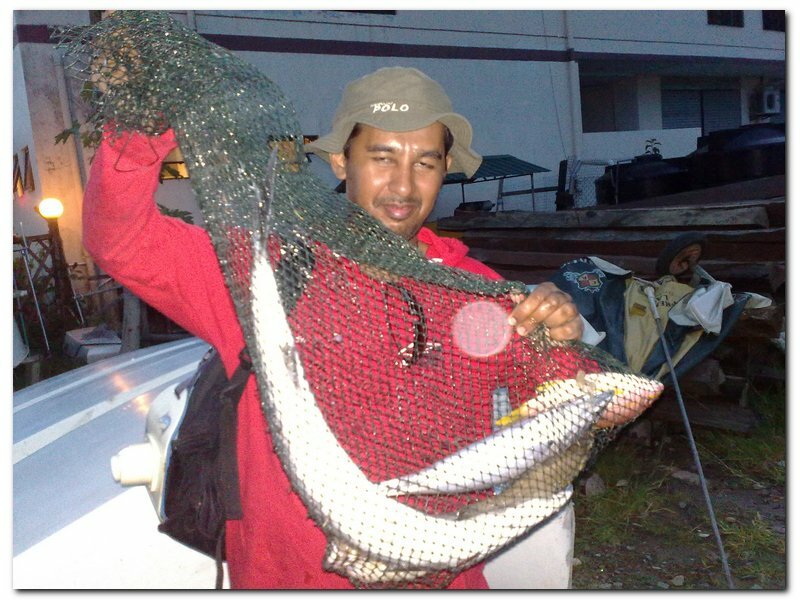 Myself with my catches. 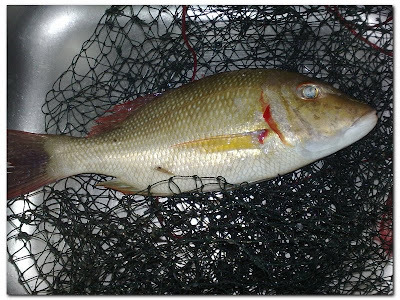 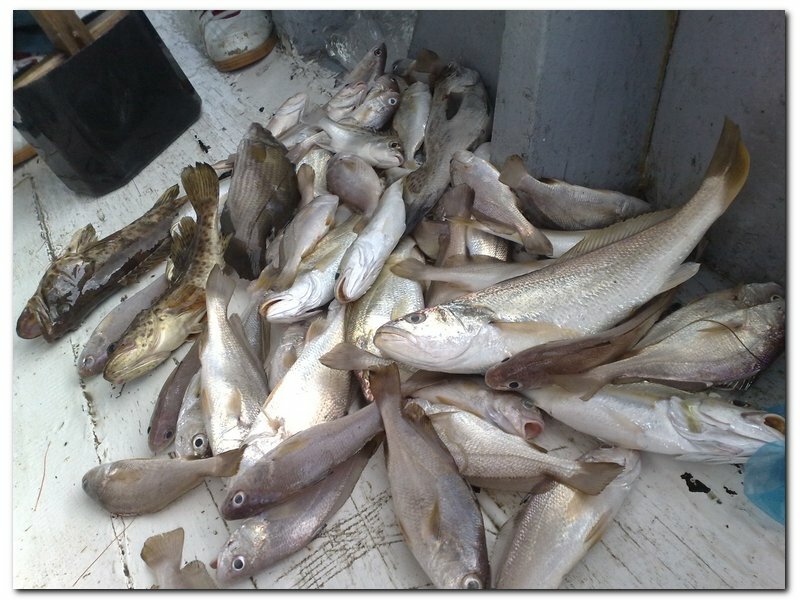 Zizudini with his catches. 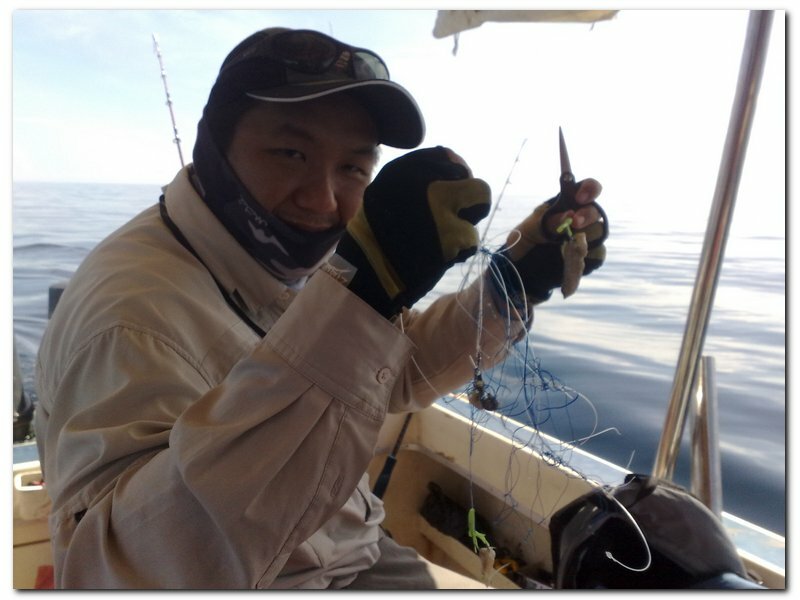 All his catches were on his legendary Hinomiya's jig. 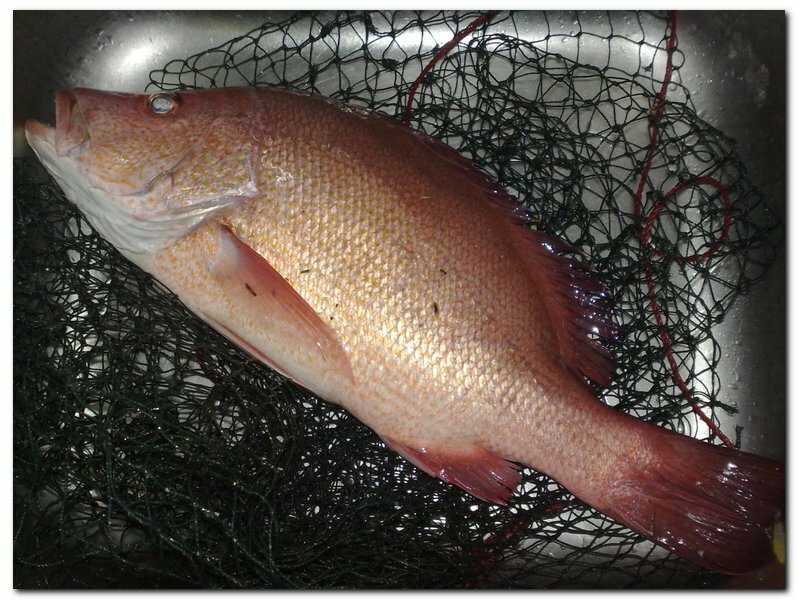 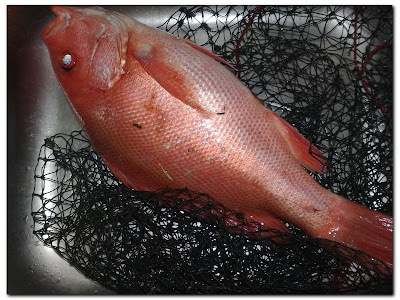 2kg red snapper. 2kg long nose emperor. 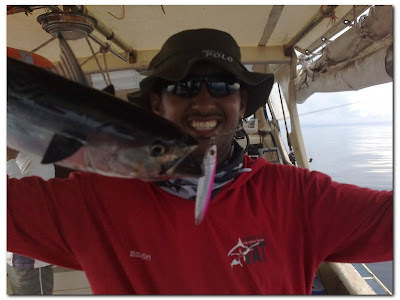 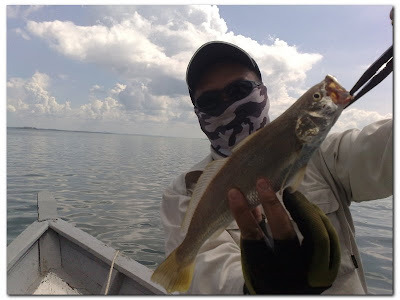 Some of my catches were given to Juini who was not able to join us due to some personal problems. 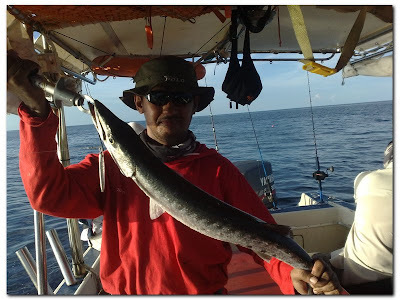 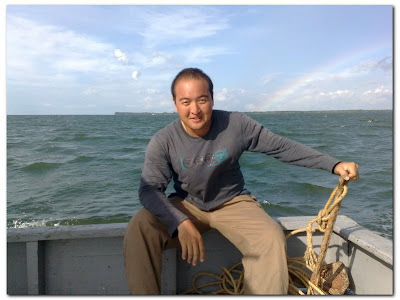 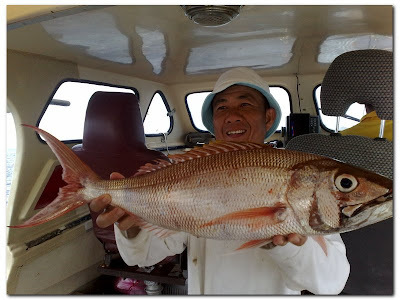 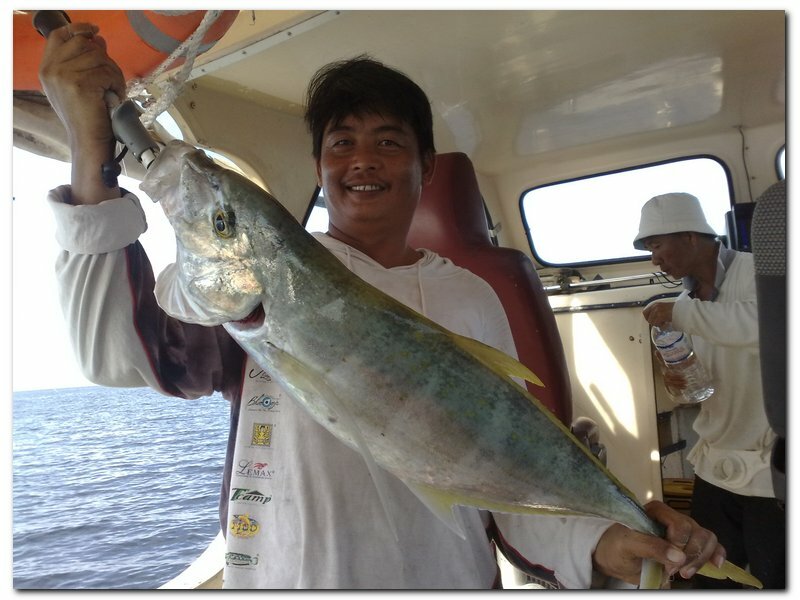 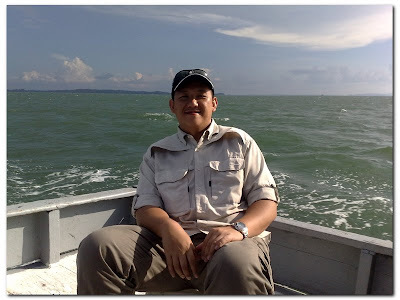 I will surely be back for deep sea fishing adventure again next year with better catches. 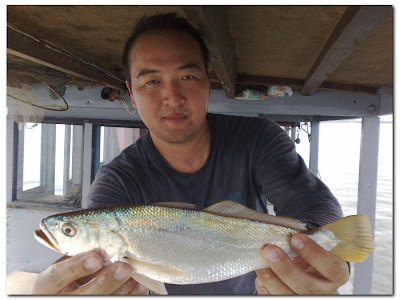 For the time being, I will only go for inshore fishing. 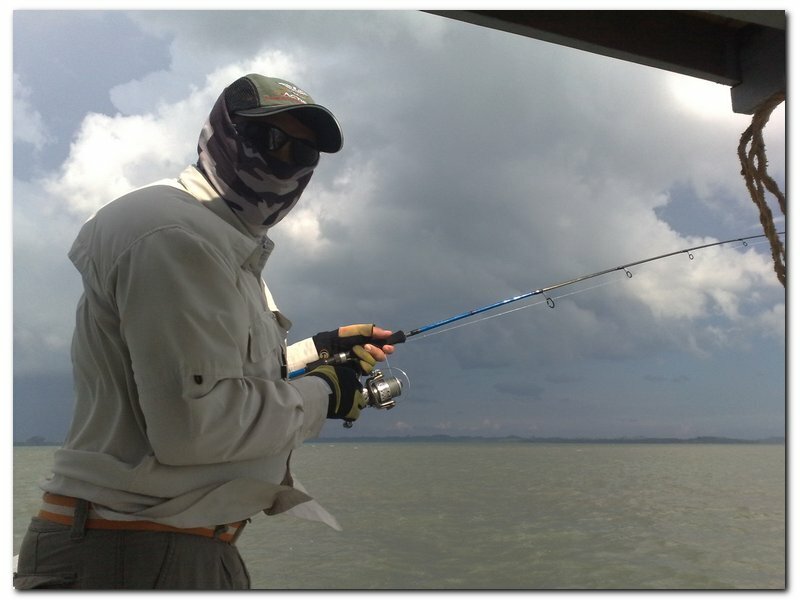 Tried the nymph fly Jepp gave me yesterday. It is cute and I think I need to start and try to make my own fly. 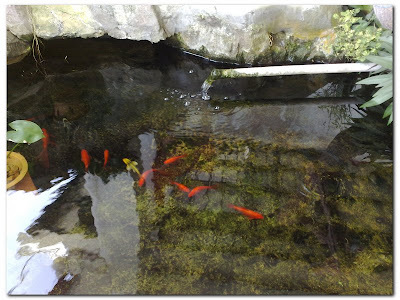 The target - gold fish and Japanese carp. 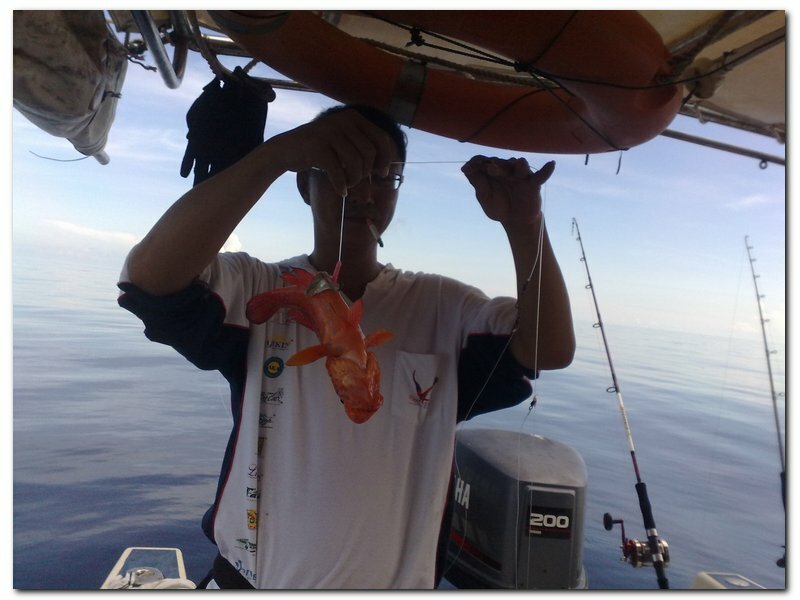 In less than a minute, I managed to get a solid hook up on the gold fish. It was indeed my first fish on fly. 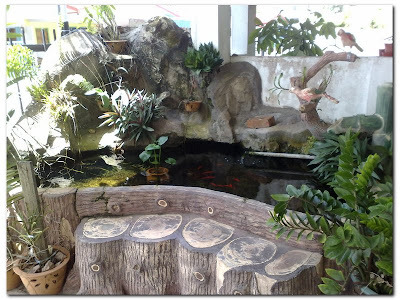 Location - fish pond at the compound of my house :). I am lucky that the gold fish is still alive now. 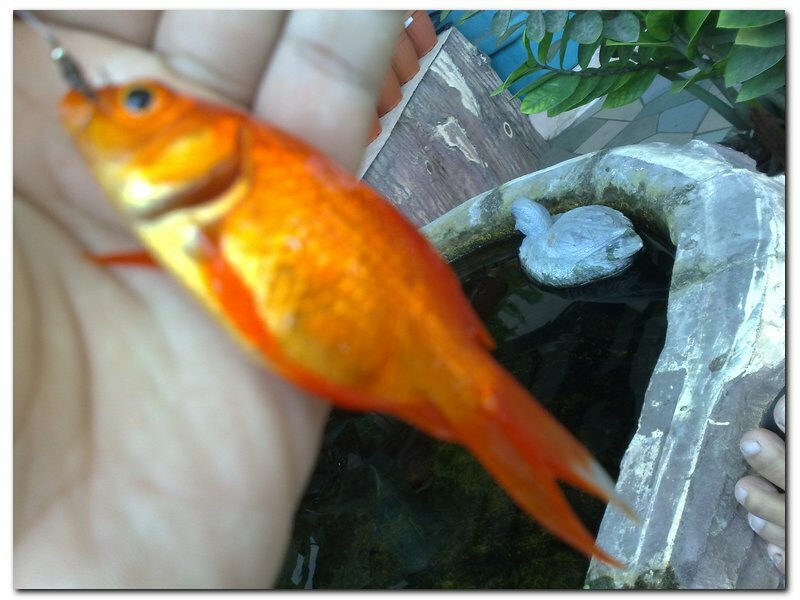 If it's dead, I'll surely get a scolding from my parents. 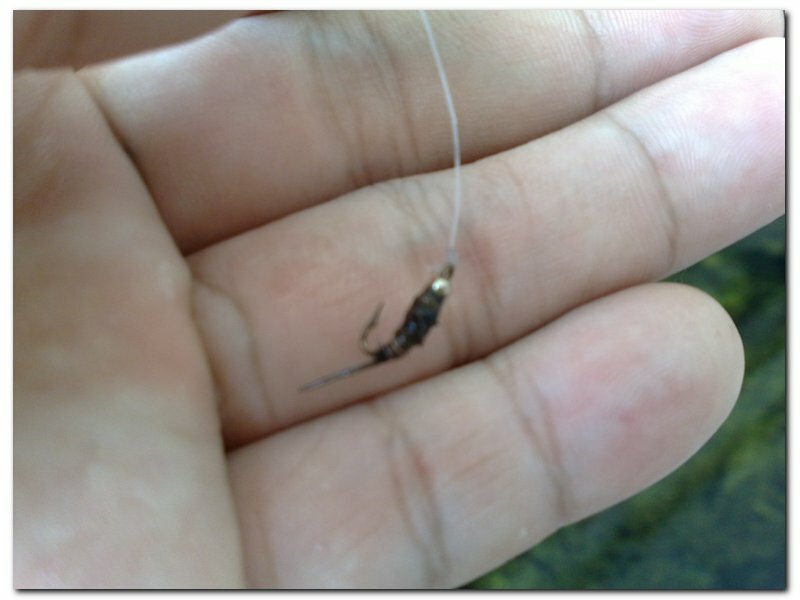 Have to try the nymph fly in the wild soon. 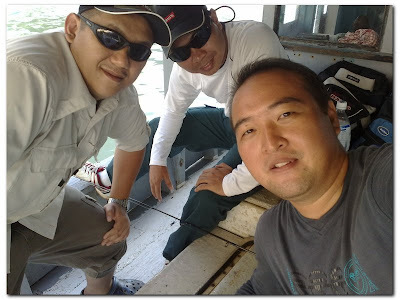 As planned few days ago, Jepp, Bakry and I went to Pulau Bai and Pulau Berhala. 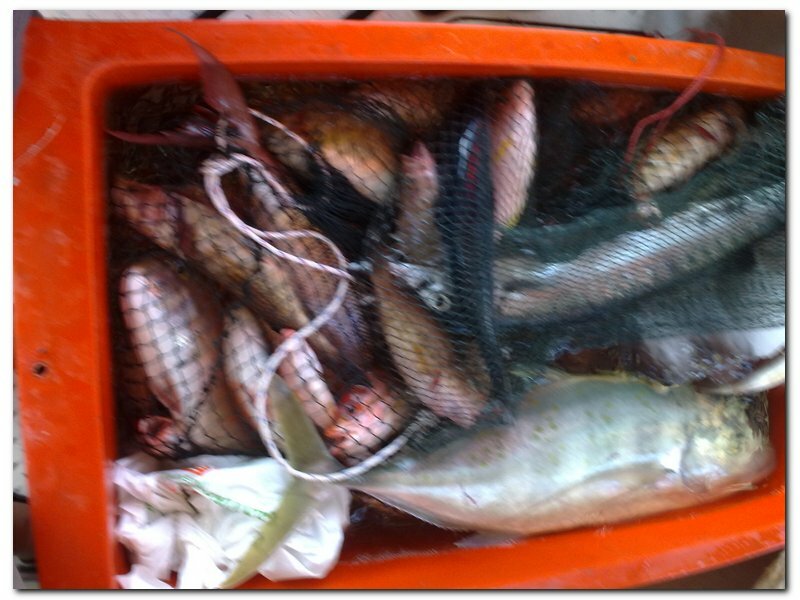 Fished from 7.30am to 3.30pm. 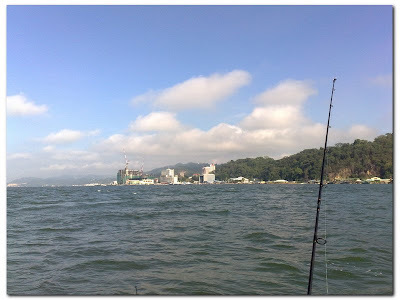 The weather and current were good in the morning. 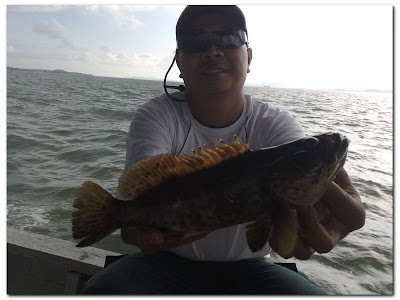 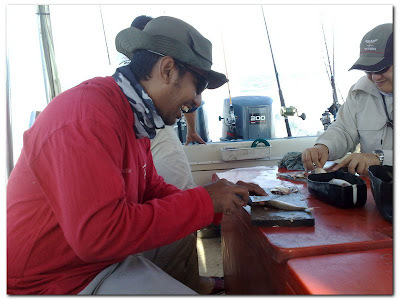 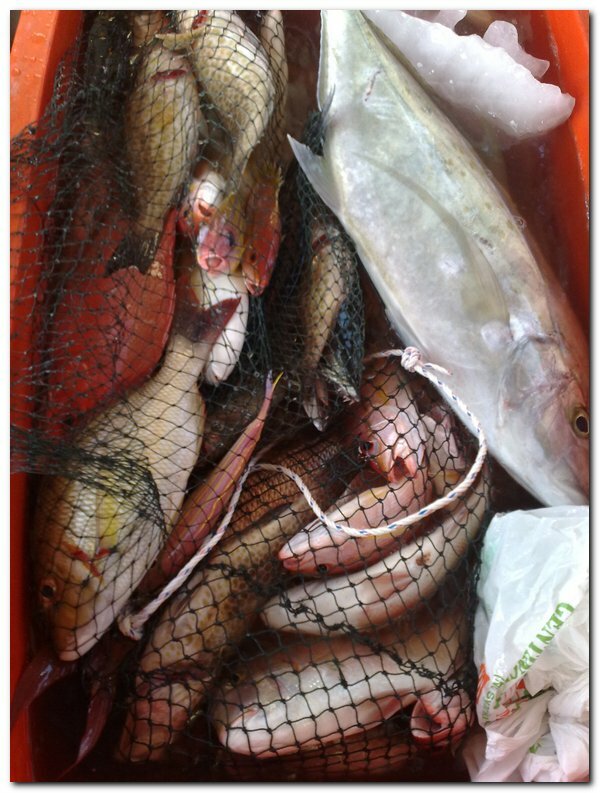 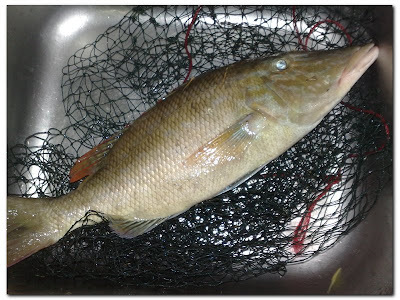 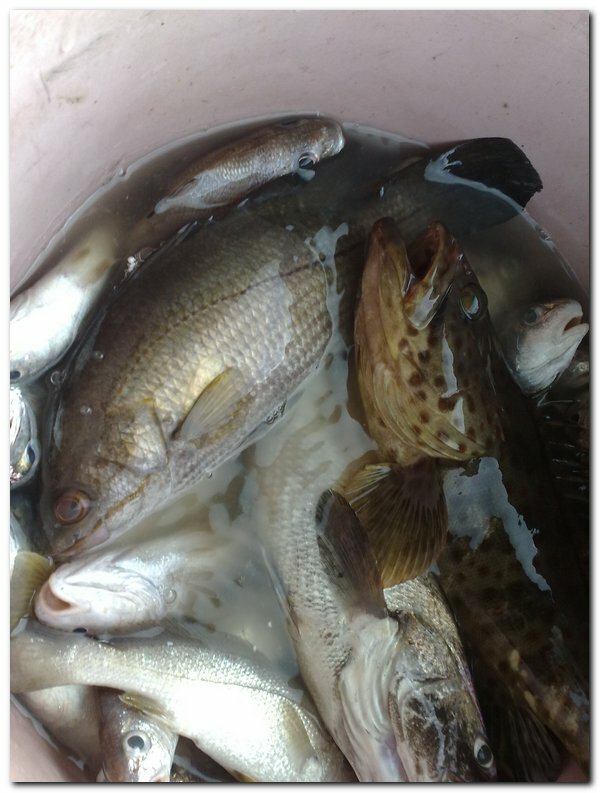 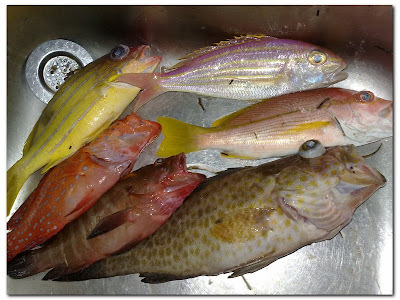 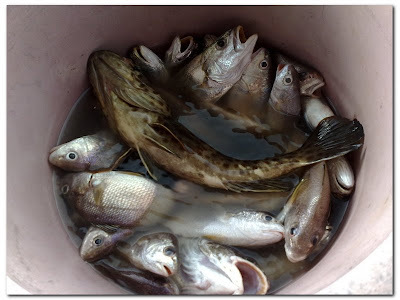 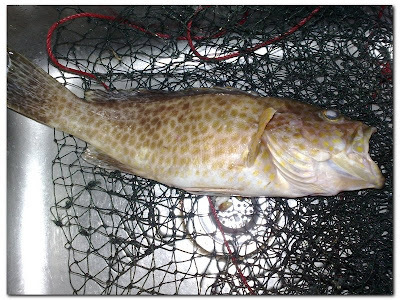 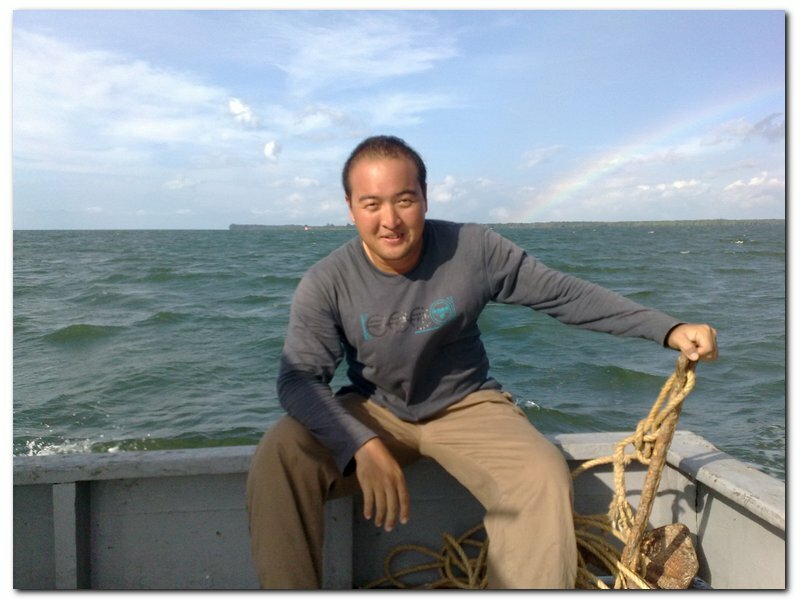 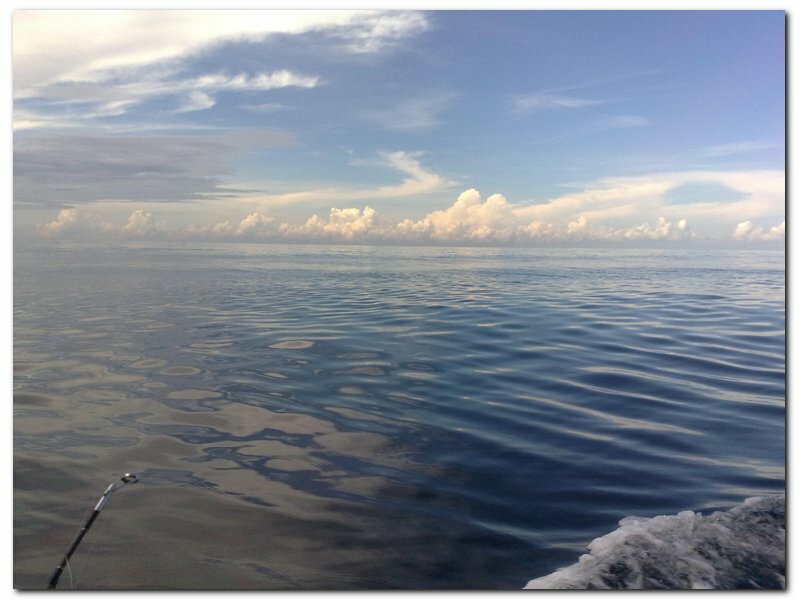 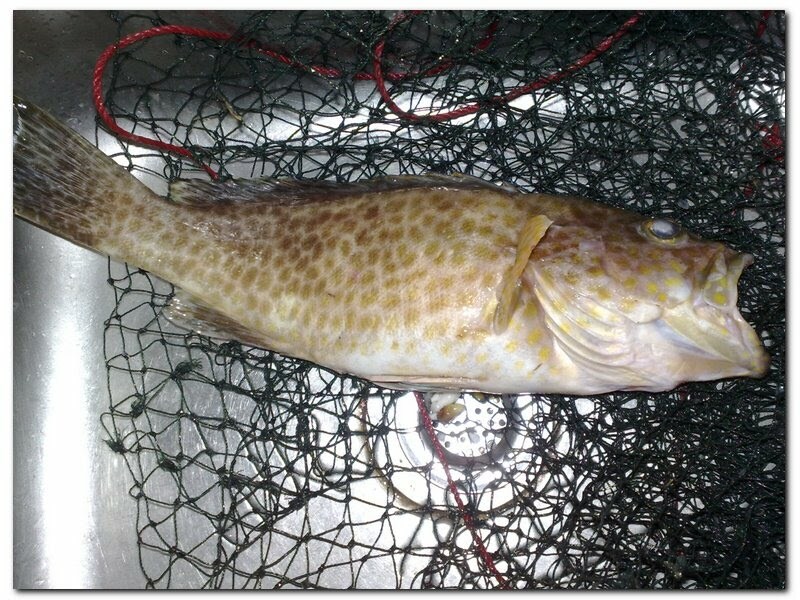 We've caught a lot of golden and silver crocker, ikan jarang gigi, mata kucing, coral fish and also grouper. The anglers for today's trip - Jepp, Bakry and myself. Myself. 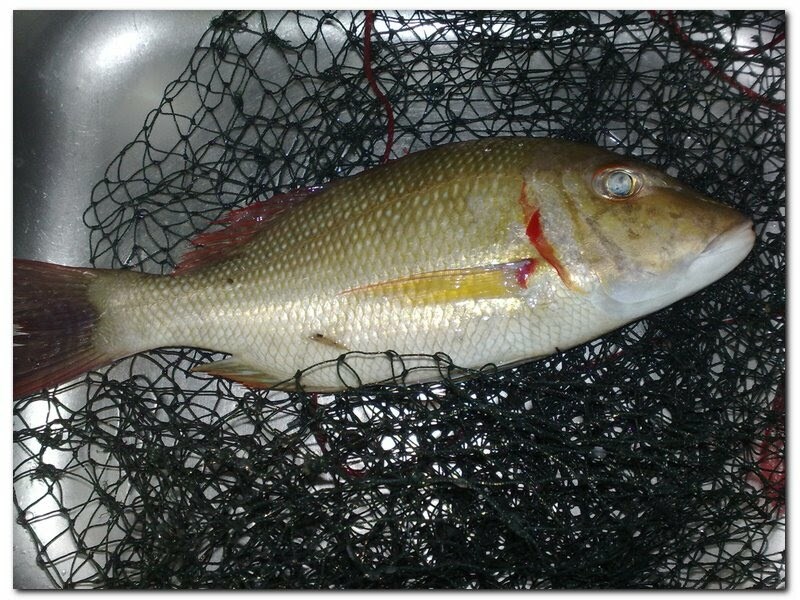 Jepp. 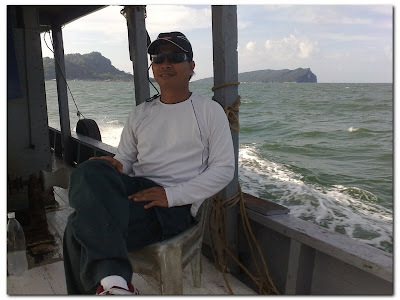 Bakry. Leaving the jetty of Sandakan wet market. 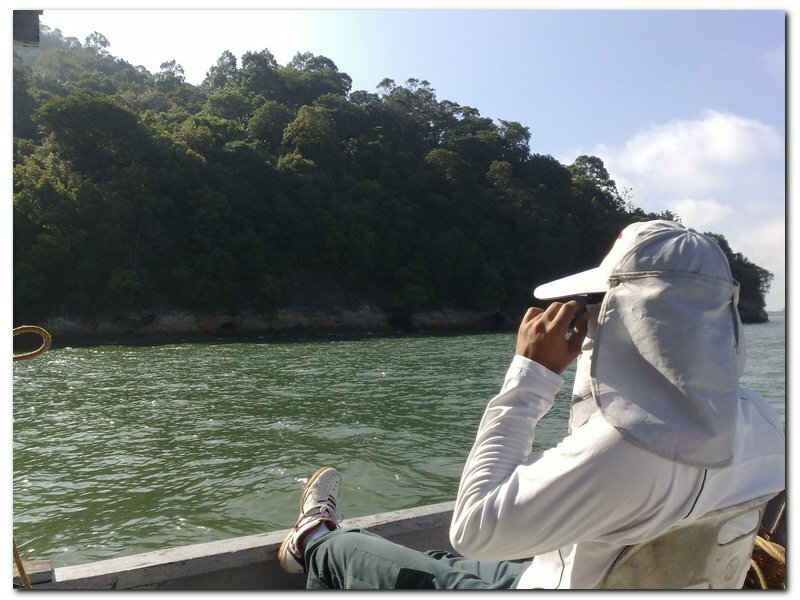 Bakry enjoying the scenery of Pulau Berhala. 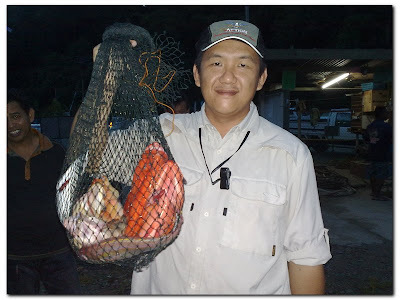 Jepp with his ikan jarang gigi. 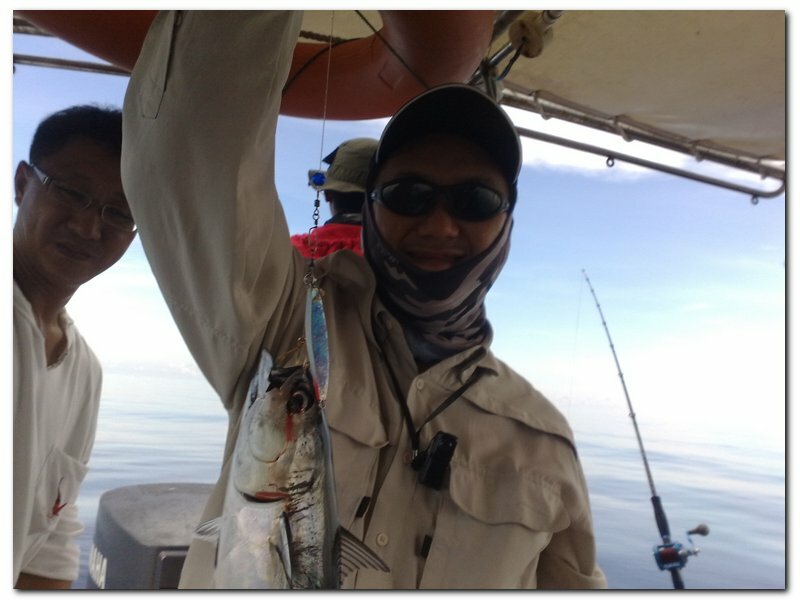 Jepp with an unidentified fish. 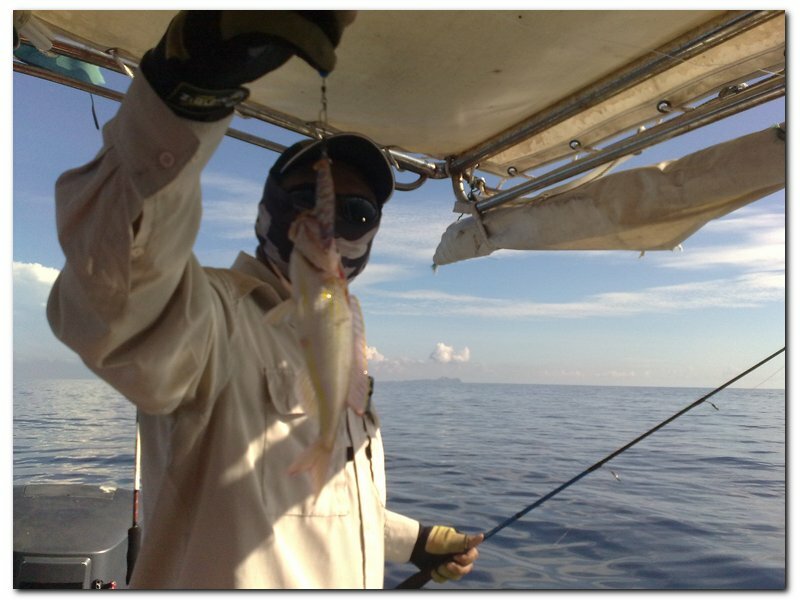 Jepp with a table-sized grouper. 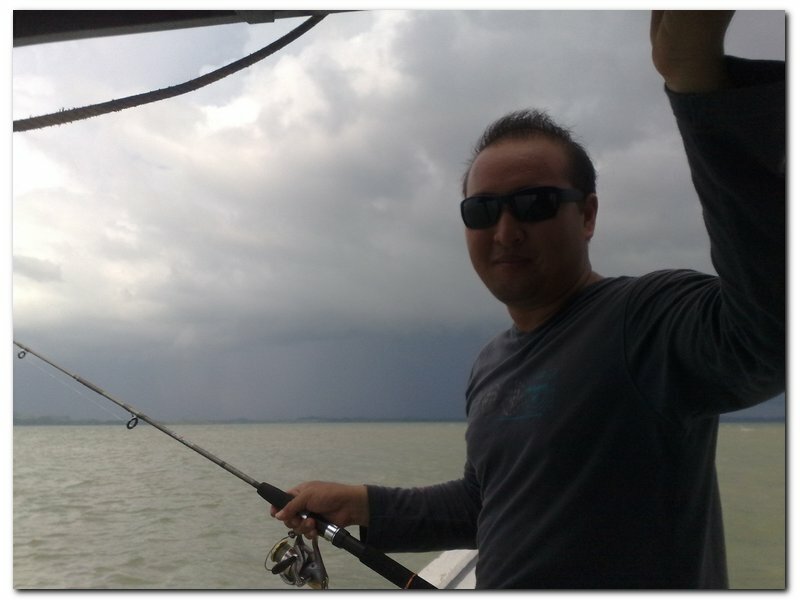 Jepp again with his mata kucing. 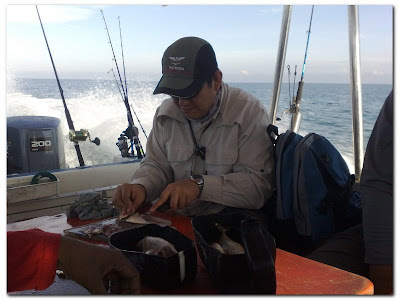 Bakry with a table-sized grouper. 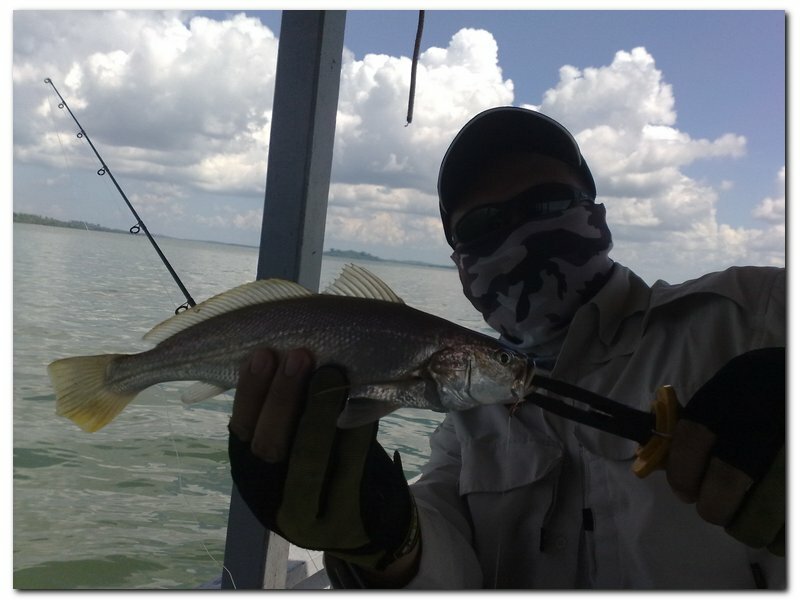 Myself with ikan jarang gigi.